The Window Sill Observatory is a mini observatory mounted on my window sill. It is a Celestron Nexstar 4SE with all scope and camera functions operated by remote control. All cables are permanently installed so that I can observe in comfort from my study. 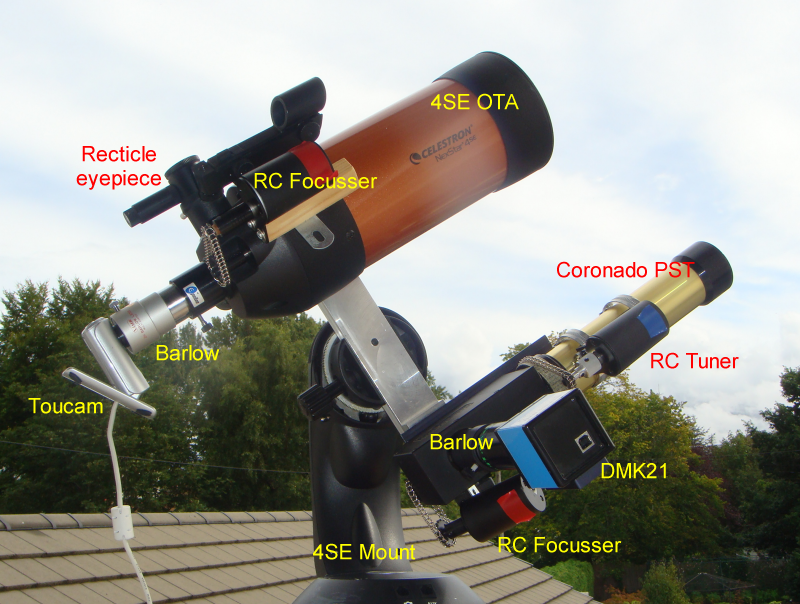 This is a pretty modest setup in the world of amateur astronomy which is perfect for testing my software. My aim is to help users with similar equipment produce stunning images and animations. Curious about what motors you used for the remote tuning of the PST, I am about to try this with my PST. Hi Kurt, It is an Orion Accufocus. My next step is to add ASCOM control via the SGL Automation group’s gizmo.